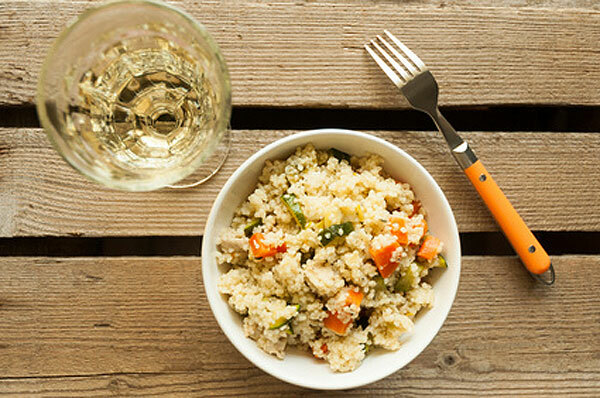 NOTE: For this wholefood recipe you can use 150g quinoa or 150g bulgur instead of couscous if preferred. Serve with a warm soup for a great alternative lunch. Awaiting image. You could also add some beans, fish or chicken.